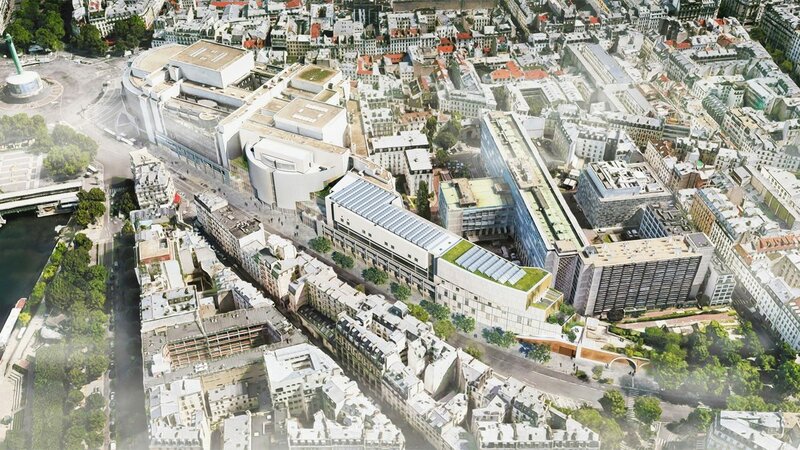 The expansion brings a new public foyer, performance space and workshop to Paris’ largest opera house, located in one of the city’s most historic and active urban districts. 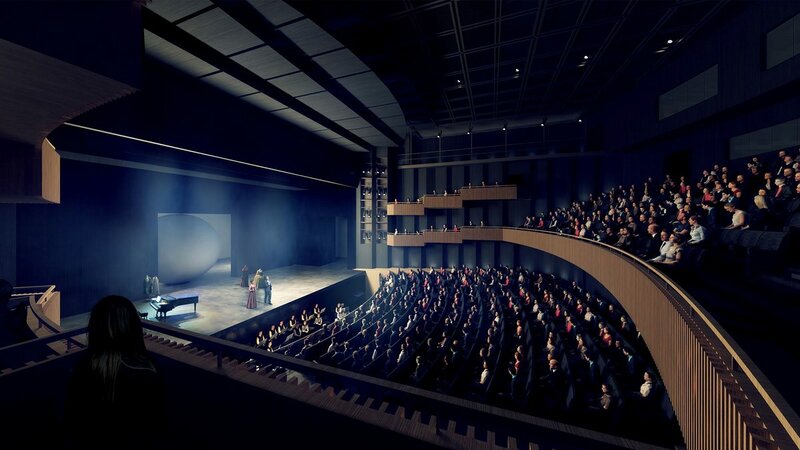 Alongside collaborators Reichen et Robert & Associés, dUCKS Scéno, Peutz & Associés Acoustic Consultants and CET Ingénierie, we have been selected for the expansion and transformation of the French Opéra Bastille, the largest opera house in Paris. The win follows a one-year competition arranged by the Opéra Bastille, which sought to complete the original vision for the 1989 building, now the main facility of the Paris National Opera. 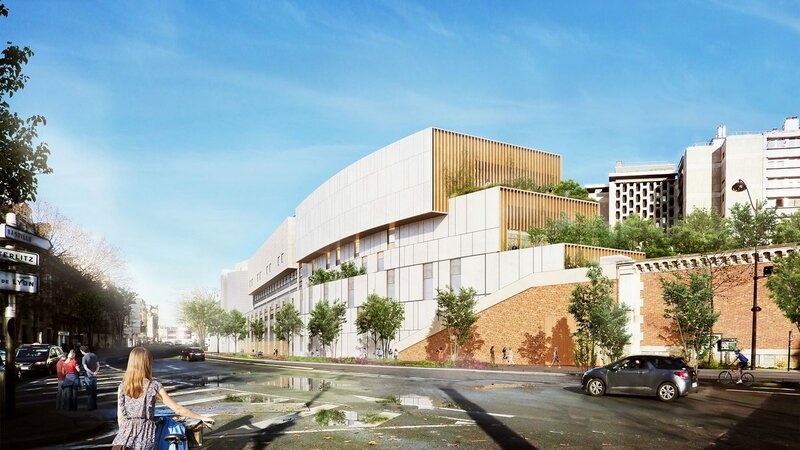 The proposal brings a redesigned and extended public foyer open to street-level activity, expands infrastructure and workshop facilities, and adds an 800-seat auditorium for use as rehearsal and performance space. “Our goal is to fulfil the original vision and potential for the Opéra Bastille in a way that honors and accents the existing architecture. We want to open the opera up to its surroundings in this busy area of Paris, and to make it a local hotspot of urban social life. For us, this is an opportunity to bring new life to a city landmark in a way that blends our own architectural identity with Carlos Ott’s legacy,” Øllgaard says. Uruguayan architect Carlos Ott designed the Opéra Bastille in 1983, part of France’s Grands Projects initiative to construct new cultural monuments in Paris. Located between the historic Place de la Bastille square and the Viaduc des Arts gardens, the opera is a landmark in Paris’ bustling 12th arrondissement. 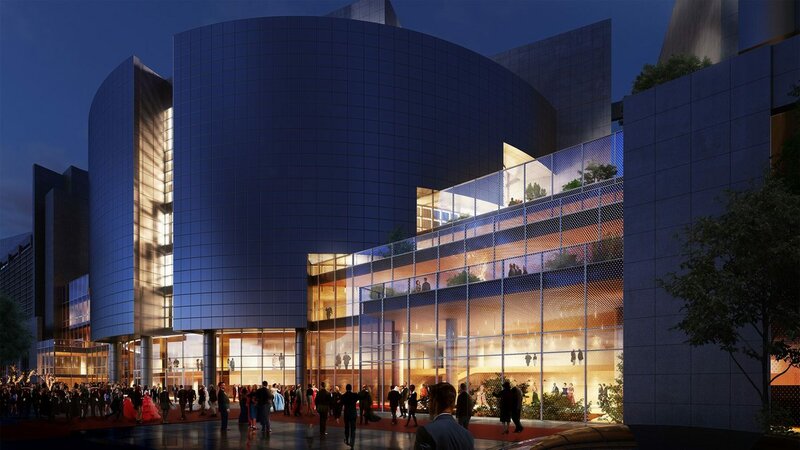 Henning Larsen’s expansion draws energy from this local context, seeking to put the opera in closer dialogue with its surroundings. 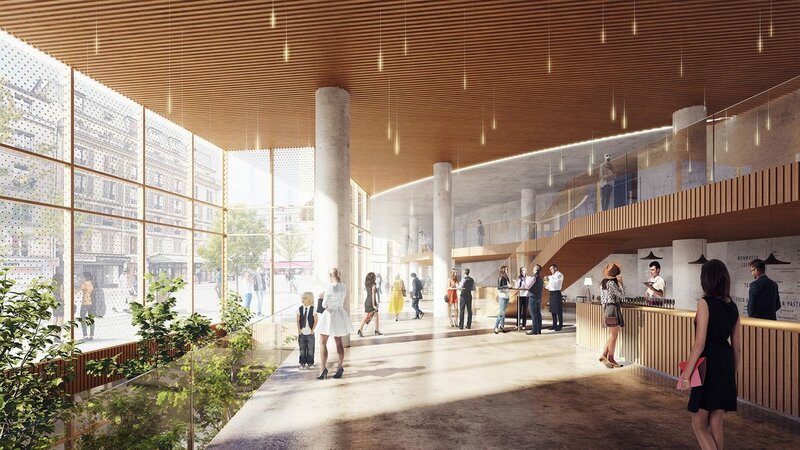 The redesign establishes a dual-level ‘indoor street’ in the foyer, providing a more inclusive commons for civic life. Behind the scenes, an extensive transformation of workshop and construction facilities aims to boost productivity and quality of life for the Opéra Bastille’s set and costume crews. Along the Viaduc des Arts, the Opéra Bastille explores the threshold between the natural and urban environments. 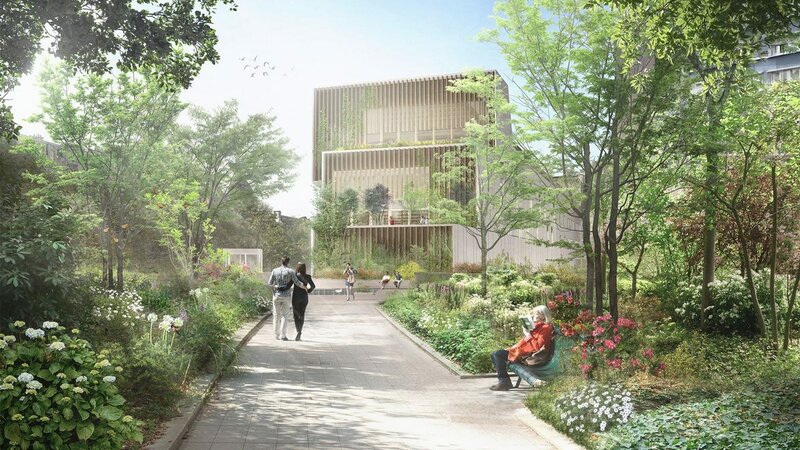 Following the original vision of Carlos Ott, the expansion will create a smooth architectural transition toward the gardens, allowing the Viaduc des Arts’ greenery to flow into the built environment.